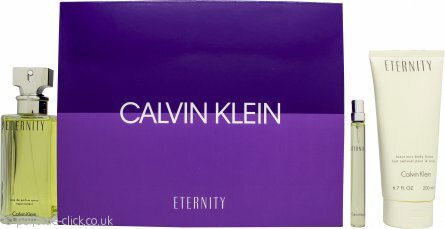 Eternity by Calvin Klein is a fresh and aromatic fragrance for women. Eternity is a gesture of love as it's said to be inspired by the well known fashion designer’s own marriage. The romantic yet sophisticated scent is a composition of citrus, green notes, perfectly blended with vivid flowers such as violet, lily of the valley, heliotrope and marigold. Carnation gives the scent a spicy edge which is balanced with subtle woody notes and musk. Since its launch in 1988 several editions of the fragrance have been released; Eternity Intense, Eternity Moment and Eternity Night only to mention a few.